After getting sued by Ford on Wednesday for naming its Formula 1 car F150, Ferrari announced today it would just use the full name — Ferrari F150th Italia. Does Ford really want to get into a fight over technicalities with a F1 team? 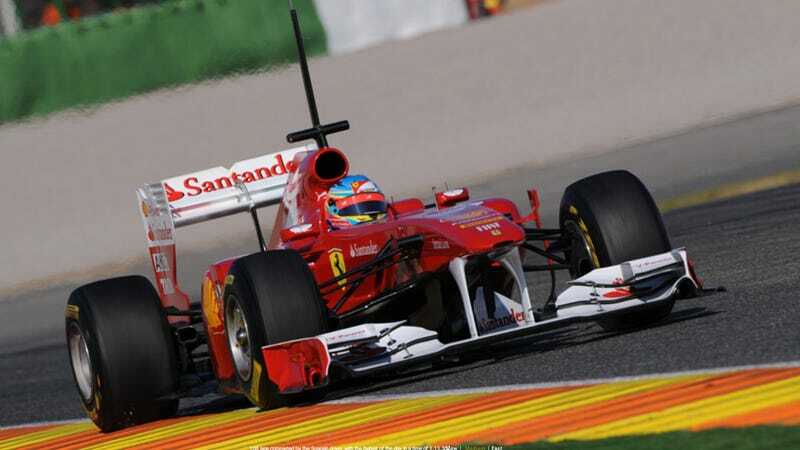 Ferrari believes that its own contender in the forthcoming F1 championship cannot be confused with other types of commercially available vehicle of any sort whatsoever, nor can it give the impression that there is a link to another brand of road-going vehicle. Therefore it is very difficult to understand Ford's viewpoint on the matter. Despite this and to further prove it is acting in good faith and that it operates in a completely correct manner, Ferrari has decided to ensure that in all areas of operation, the abbreviated version will be replaced at all times with the full version, Ferrari F150th Italia. We're checking with Ford to see if this settles it, or if the lawyers will still be starting their engines.